Choosing the best entryway flooring can be tricky. It's the entry your home - the first impression that your family and friends will have. You want something welcoming and that reflects your style. At the same time, the entryway sees a lot of traffic and much of it is messy. You need a floor that looks nice while also standing up to mud, water and dirt. The flooring design consultants at Kermans are ready to meet the challenge. A hard surface floor is the most common option for an entryway for one simple reason: maintenance. A tile or luxury vinyl floor is both water and stain resistant. A good mop is all you need to keep your floor clean and looking like new. Want something a little softer? Consider adding an area rug that you can simply pull up and clean when needed. Area rugs are available in every size and shape imaginable. You can also have a carpet cut down to just the right size to make your own custom area rug. An entryway floor needs to stand up to a lot of traffic. You don't want a floor that is easily scratched or dented. 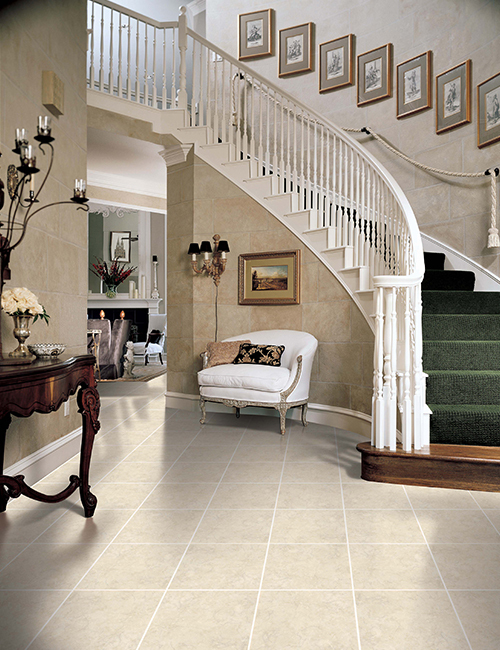 Ceramic or porcelain tile are excellent choices for an entryway because of the easy maintenance and durability. Porcelain tile in particular is an interesting choice because of its ability to mock other floors beautifully. You can install a porcelain tile floor that looks like slate or marble or even hardwood floor. 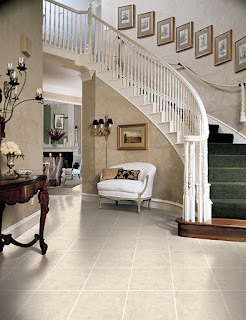 Read our article, Porcelain tile: the chameleon of flooring. Perhaps you don't want a tile floor or it's not in the budget. A good option? Flooring that is installed in tiles or planks that are easy to replace if they get damaged or worn out. Luxury vinyl, cork flooring tiles, laminate wood or even carpet squares are good options if you want something a little different yet still practical. Kermans has been Indianapolis' top flooring store for generations because we carry such a wide selection of flooring and have the expertise to help homeowners make the best choice for their lifestyle and budget. Stop by our showroom on the north side of Indianapolis and experience the Kermans Advantage for yourself. 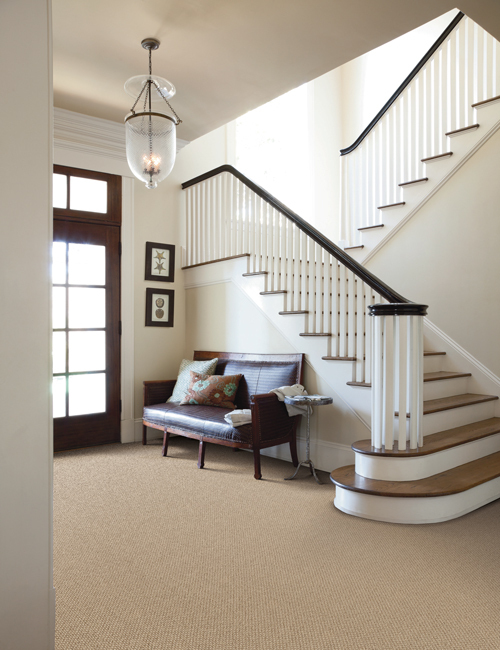 We're looking forward to helping you find the right floor for your entryway - or any room in your home!